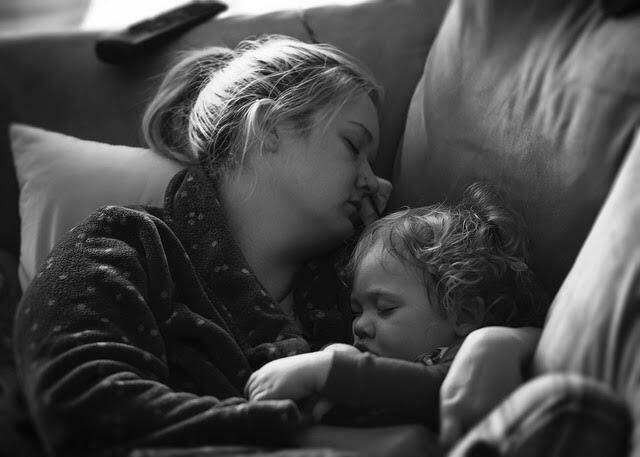 There’s been a rising tide of powerful stories documenting America’s dying mothers. The statistics tell us why: While global maternal death rates have declined by more than a third since 2000, U.S. rates have jumped more than 25 percent. According to data from the Institute for Health Metrics and Evaluation at the University of Washington, American mothers are now more likely to die of pregnancy-related causes than their counterparts in any other comparably wealthy nation. Lack of mental health support plays a part in this public health crisis. According to a 2017 CDC Foundation report, mental health conditions are one of the seven causes that account for most pregnancy-related deaths. As many as one in seven women experience debilitating symptoms of depression during or after pregnancy. One in five postpartum deaths is due to suicide, now the second-leading cause of death among new mothers. And yet, according to the American Psychiatric Association, only about 15 percent of women who experience severe symptoms seek professional help. It’s a pattern psychologist Suniya Luthar has noted over and over again across her three decades of research: Women in general — and mothers in particular — dismiss their own emotional distress, prioritizing the needs of others over their own mental health. When Luthar emigrated from India to pursue her doctorate in developmental psychology, she intended to explore the origins of resilience — the ability to adapt well in the face of adversity. But she soon noticed a blind spot in her field. Luthar started to get a sense of what helps mothers do well when she designed an intervention to support mothers in a methadone clinic serving women in treatment for heroin addiction. Her study took place over a period of six months, during which 37 mothers met in peer groups to share their stories and support each other, building relationships that made them feel nurtured. Another 24 mothers were tracked in a control group. The mothers who’d taken part in the treatment groups showed improvement in their mental health and well-being, which in turn bled into other aspects of their lives, from how they coped with their addiction to how they engaged with their children. To further understand what builds resilience in moms, Luthar turned her attention to a larger sample of mothers. In survey data from more than 2,000 American women, Luthar found that distress is common but resilience is common too, and it’s closely tied to four factors. Unconditional acceptance, authenticity in relationships, friendship satisfaction and feeling comforted when needed all stood out as protective factors that boosted mental health and kept distress at bay. Luthar has since applied her model for supporting moms to a range of other populations, including a cohort of Mayo Clinic physicians, physician assistants and nurse practitioners who are all mothers. When the Mayo group was compared to a control group after 12 weeks of structured “mothering,” the women showed improvements in depression symptoms, self-compassion and parenting stress, and even had reduced levels of cortisol, a hormone often used as a marker of stress. Those gains were still present when the researchers followed up three months later. Luthar hopes to make the model, which she calls “Authentic Connections,” more widespread, with the goal of improving and perhaps even saving some new mothers’ lives. She’s working with collaborators to create similar groups in communities across the country, through companies, schools, and other organizations that bring people together, and even through videoconferencing. But her work points to a simple yet powerful insight that can benefit all mothers: Self-help and self-love only go so far, and ultimately we all need nurturing from others to thrive. The very same unconditional acceptance and support that help children become more resilient help their mothers become more resilient too.